This past week, over 100 million people watched the debate between Hillary Clinton and Donald Trump. Whatever your political perspective, the consensus and polls afterward clearly showed that Hillary Clinton came out on top. In the past number of elections in both Canada and the US, debates have often been the place where elections are won and lost. Interestingly enough, there were over 60 million people who were watching the debate who are in the “open” camp. 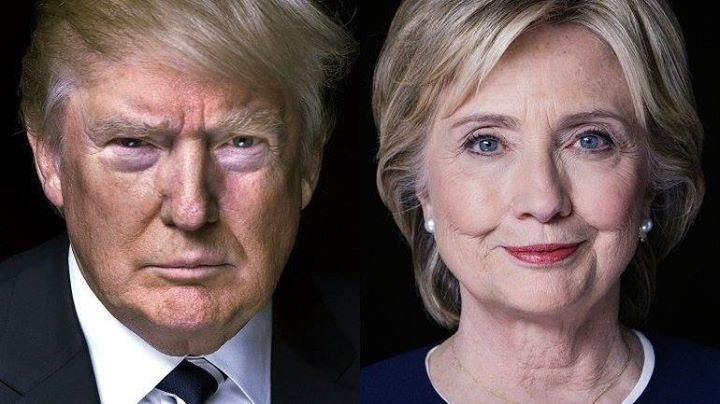 It is believed that the currently undecided will decide who will become the next President of the United States. Debates are essentially panel interviews, just with a slightly larger panel of millions of people. I was reading a NY Times article about the 2000 debate between George W Bush & Al Gore. Al Gore was seen as the stronger and more qualified candidate. He had been Vice President for eight years, had been in some debates, and had worked on all of the substantive issues in his role both as VP and a Senator. George was perceived as less intelligent and the weaker of the two candidates. George Bush unexpectedly won the debate and not long after, the Presidency. What do Al Gore & Donald Trump have in common? They both blew an opportunity to make their case in an effective way, that they were the better candidate for the biggest job in the world. What do Hillary Clinton & George W Bush have in common? Al Gore was more experienced and seemed to have the skills to perform well. His team felt that he needed less preparation in advance of the debate. Donald Trump took confidence from his ability to know how to connect with an audience. From most pundits’ perspectives, he reinforced what were the main fears around Donald as it relates to his brand: fly by the seat of his pants, reactive, emotional, and bombastic; shallow on facts and solutions. George W Bush’s team started secret preparation in April. They worked over some fundamental questions and responses. Hillary, the same. She took time off the campaign trail to work on her key issues and messages. Hillary came across as prepared, focused, well thought out, and strategic. Interestingly enough, it is recognized that Hillary’s resume is the strongest in the last 50 years for taking on the biggest job in the world. Hillary, unlike Al Gore, didn’t assume that because she had all the right qualifications that she would automatically perform at her best. She took a page off out of George W Bush’s book. Which approach do you take preparing for interviews? The Trump/Gore approach or the Clinton/Bush approach? How much preparation have you done?. Have you broken down key questions and worked to streamline critical answers? Have you had a “mock” interview? Who do you have on your team helping to interview you and to provide honest feedback? Be Prepared is not only a good principle for Cubs and Presidential Candidates, but it is also essential in helping you get that role you want. Who is your career & leadership coach? Connect with our team for information about our programs for individuals and employers: 1-877-256-2569 x 4 orbrittany.knapp@careerjoy.com.